"With only 1 residence per floor and 34 total units, 50 E Chestnut is an excellent building for those looking for privacy in a newer construction, boutique building and luxurious floorplans and finishes." 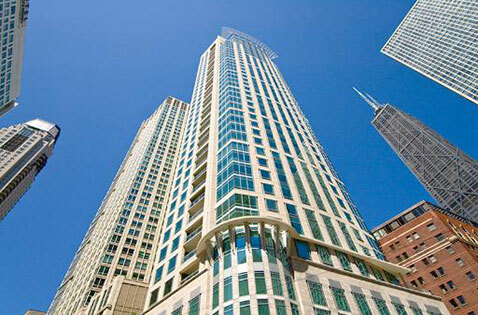 50 East Chestnut is a luxury condominium building in the Gold Coast neighborhood of Chicago. With only one unit per floor, each residence at 50 E Chestnut has its own private elevator foyer. Floor to ceiling windows and luxurious finishes make 50 E Chestnut one of the more exclusive buildings in the Gold Coast. Floorplans in the building are very large - ranging in size from 3800 - 4900 square feet. In addition to its prime location in Chicago's Gold Coast neighborhood, 50 E Chestnut has a 24 hr doorman, exercise room, additional storage and garage parking.